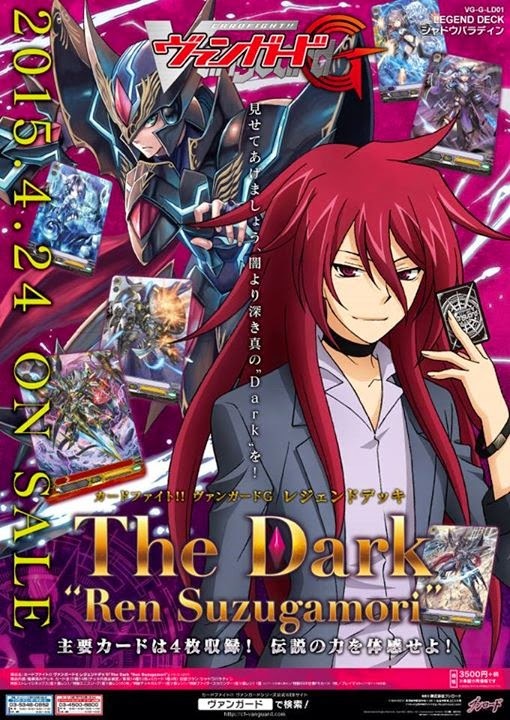 The Japanese products page updated today to reflect the upcoming Beginning Set for Legend Deck 01: The Dark “Ren Suzugamori,” due this April. 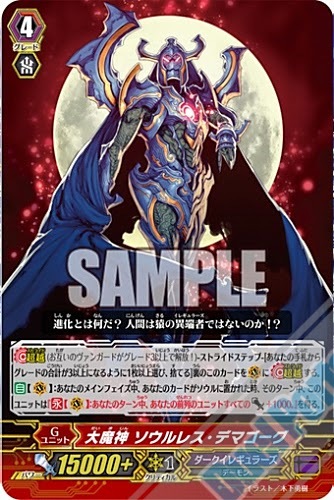 Among the merchandise to be included in the Beginning Set is a triple rare print of the promotional card Dark Knight, Grim Recruiter. 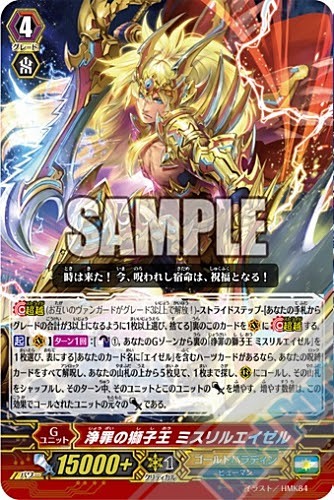 A counterpart to Royal Paladin's Shrouded Divine Knight Gablade, Recruiter's skill calls a grade 1 or less card rather than a grade 2. This makes for easy access to Shadow Paladin's burgeoning pool of supportive rearguards, primarily the on-call draw unit Black-winged Swordbreaker. If stridden neutrally, calling a Swordbreaker off of Recruiter and drawing is a net +2 in card advantage. This can alternately help fuel the retire skills of the clan's upcoming boss cards, or provide an intimidating pressure unit that gives the opponent an incentive to drop a perfect defense card on a high power center lane early in the fight, similar to how Gablade has been used in professional competition. 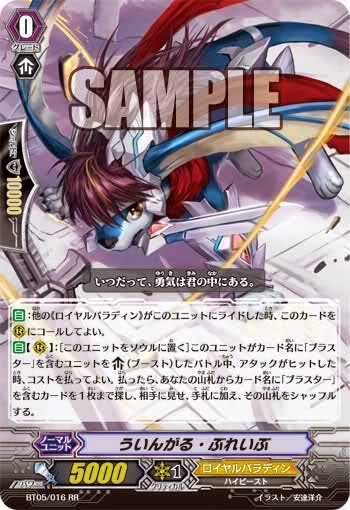 AUTO (Vanguard circle): When this unit's attack hits a vanguard, search your deck for up to one grade 1 or less card, call it to a rearguard circle, and shuffle that deck. 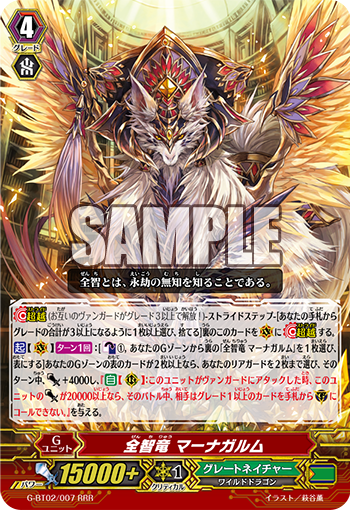 Thematically the card is a successor to the trigger units Grim Reaper and Grim Revenger of BT04 and TD10, but unlike those cards Recruiter is not of the demon race. 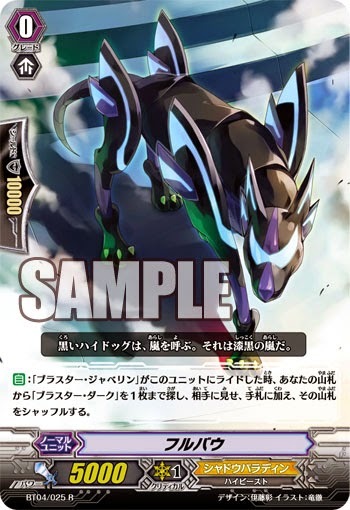 Grim Recruiter may be an early promotional print of a stride from the booster set G-BT03, as Shadow Paladin is to be included in the G-booster and only one copy of Grim Recruiter will be in each Beginning Set. 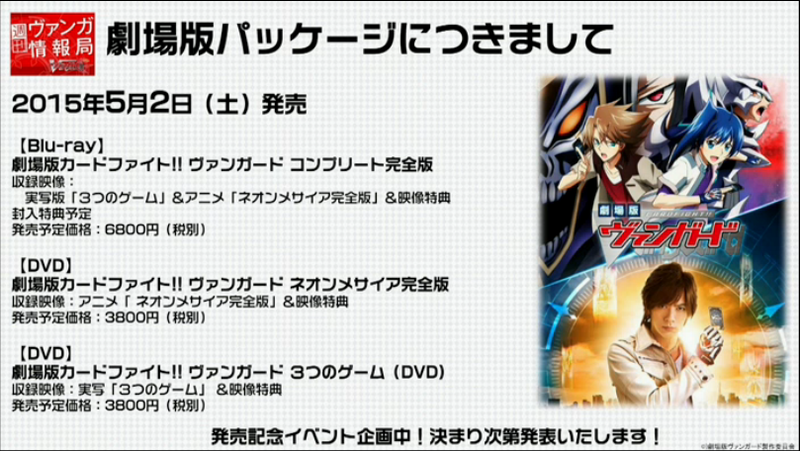 The set will also include a storage box, deck box and Fighter's Counters each featuring Blaster Dark “Diablo” and Suzugamori Ren on one face, and Phantom Blaster “Diablo” on another. Ren and Dark “Diablo” will serve as the +5000 power counter, while Phantom Blaster “Diablo” will serve as the +10000 counter. 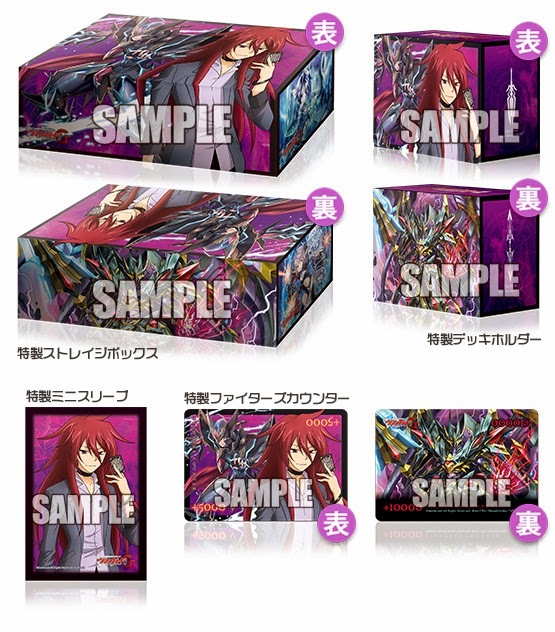 The set will include 60 card sleeves, and will retail for 3500 yen, approximately $29.50 at the current exchange rate. 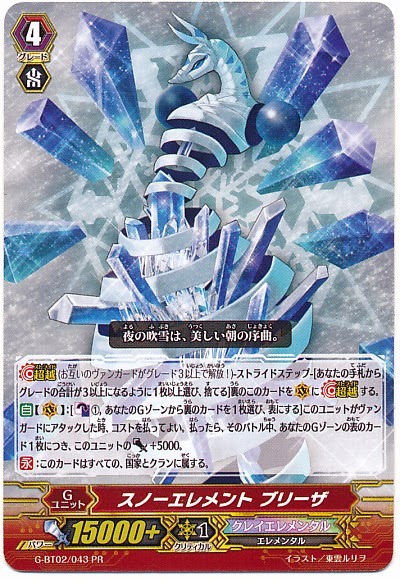 The Japanese card of the day for February 18th is Contradiction Instructor Tusk Master. Based on the Han Feizei's shield and spear paradox, Tusk Master wields a spear that acts as an unstoppable force, as a counterpart to Shell Master's immovable object. A successor to BT09's Polaris, Tusk Master's generation break skill is active on both the vanguard and rearguard circles, allowing him to act as either a strong middle play or as a supporting element to Big Belly. The primary issue with Tusk Master is that he's a grade 3 unit that takes up space which could be otherwise devoted to the legion grade 3 Guru Tiger. 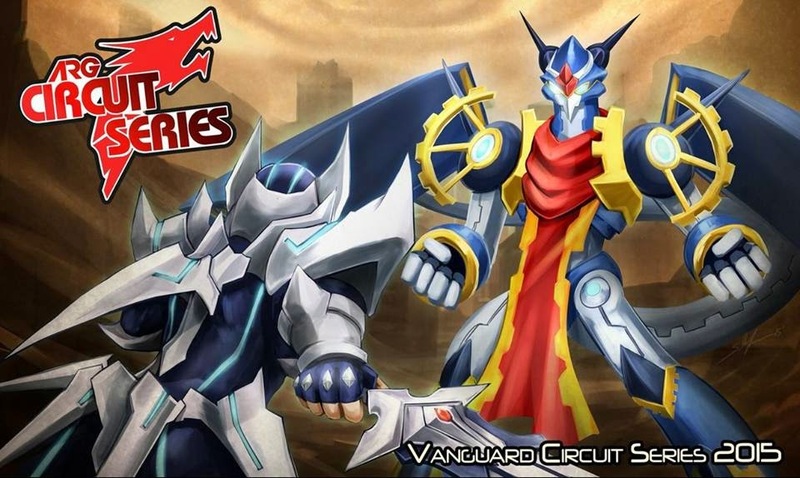 However, since a significant portion of the game will likely be spent on the stride units Phoenicialux and Managarmr, Guru Tiger may not serve any greater purpose on the vanguard circle than Tusk Master would have. 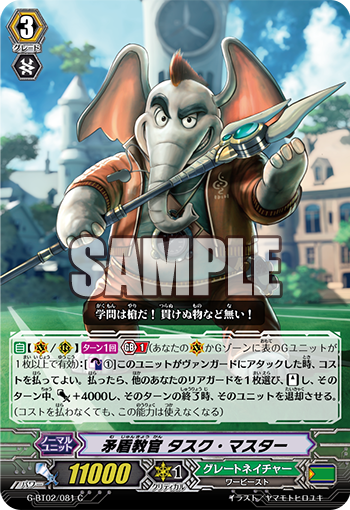 The real value of the card comes in when a rearguard Tusk Master is used in conjunction with Managarmr. 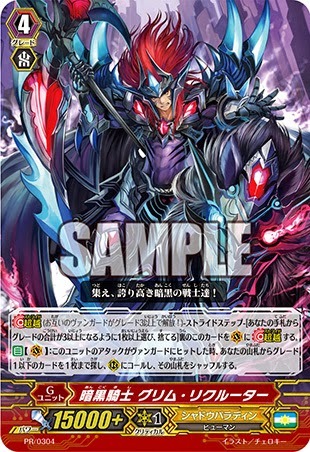 ACT (Vanguard circle): Once per turn: [Counterblast 1 and choose a face down card named “Omniscience Dragon, Managarmr” in your generation zone, turn it face up] If the number of face up cards in your generation zone is two or more, choose up to two of your rearguards, until end of turn they get Power +4000 and "AUTO (Rearguard circle): When this unit attacks a vanguard, if this unit's Power is 20000 or more, until the end of that battle your opponent cannot call grade 1 or greater cards from their hand to the guardian circle." Managarmr's unique skill turns any 16000 power rearguard lane into a 20000 power one, automatically meeting the conditions for the skill he endows those rearguards with. The benefit of having rearguards that cannot be blocked with perfect defense cards is innate, but Tusk Master brings something else to the table; not only will he make a 22000 power column with a base 7000 booster, Tusk Master's counterblast will allow a frontrow rearguard that has received Managarmr's skill to attack a second time with that same skill still active. The trouble with this is meeting the minimum 20000 power requirement on both attacks. Most units will only reach 17~19000 power on this second attack, but there are ways to circumvent this. The grade 2 generation break attacker Malicious Sabre is one, as he automatically attacks for 12000 power as long as there is at least one face-up G unit in play, so with both Managarmr and Tusk Master's power bonuses his second attack will reach the 20000 power threshold unboosted. The first vanguard options Pencil Koala and Telescope Rabbit can also cause a similar result on a less innately powerful unit and cause its final power to break the 21000 threshold unboosted, but Koala has to boost a vanguard attack that hits at a late stage in the fight while running Rabbit involves giving up her boost for that turn and devoting another counterblast to the strategy. On a more practical level, as long as you ride him successfully Big Belly's own on-stride counterblast will give two rearguards +4000 power, causing a boosted Tusk Master to reach 26000 power and the other rearguard to break the 21000 line innately. Still another method is to forgo the multiple grade 1 blocking entirely, using either Sleepy Tapir or Crayon Tiger as part of a power hustling strategy. Both of these units give +4000 power to another rearguard when they attack a vanguard, then retire that unit at the end of that turn, but have different conditions. Crayon Tiger is a generation break 1 unit that needs to be boosted and requires a counterblast 1, while Tapir gives the power with no other conditions attached. 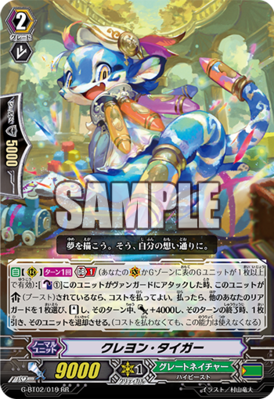 The real difference between them is that Crayon Tiger gets to draw a card when the unit is retired as well as stand it, and Tapir has Resist to prevent him from being targeted by retire or lock skills. The key to manipulating Tiger is that his skill is once-per-turn and cannot be used again if it is not used when the conditions are met, but if you attack with him unboosted then you have not fulfilled the timing for his conditions. This means that if you stand Crayon with Tusk Master and attack with him again but boosted, you will be meeting the conditions for his once-per-turn ability for the first time that turn. 5/21/2015 Update: A ruling made in mid May on Magnum Assault stated that the timing for Crayon's type of generation break units is "when it attacks a vanguard" and that being boosted is not a part of his timing. This means that the only way to use Tiger like this is to attack a rearguard. The text below this point has been modified to accommodate this ruling. Therefore, you can power up Crayon Tiger with Managarmr, attack with a rearguard for 13000 power, attack with Tusk Master to stand Crayon and give him +4000 power, then attack with Crayon boosted and use his counterblast 1 to give his booster +4000 power. (Note that because boost is applied continuously until a unit changes circles, standing the unit will not cause it to stop boosting even if stood--compare Dancing Wolf.) While the check timing for skills that activate "when this unit attacks" takes place after boosting, because the power from a boost is added continuously (see Comprehensive Rules 7.3.1.7), the power bonus given to Tiger's booster will be applied to him, causing him to reach a total of 28000 power while also blocking grade 1 and greater cards from being called from the hand. The initial 13000 power attack drains 5000 additional shield from either the opponent's hand or intercept-cabable cicle, Tusk Master drains 15000~20000 (draw triggers are becoming less common and therefore a 21000+ power column that can only be blocked by grade 0s tends to take an additional 10000 shield rather than 5000) Managarmr takes the opponents' perfect defense card and the card they discard for it, and Crayon takes a guaranteed 20000 to block or otherwise forces the opponent to take damage. A turn like this takes a good seven card hand to defend, in total 40~45000 shield and one perfect defense for the center lane. 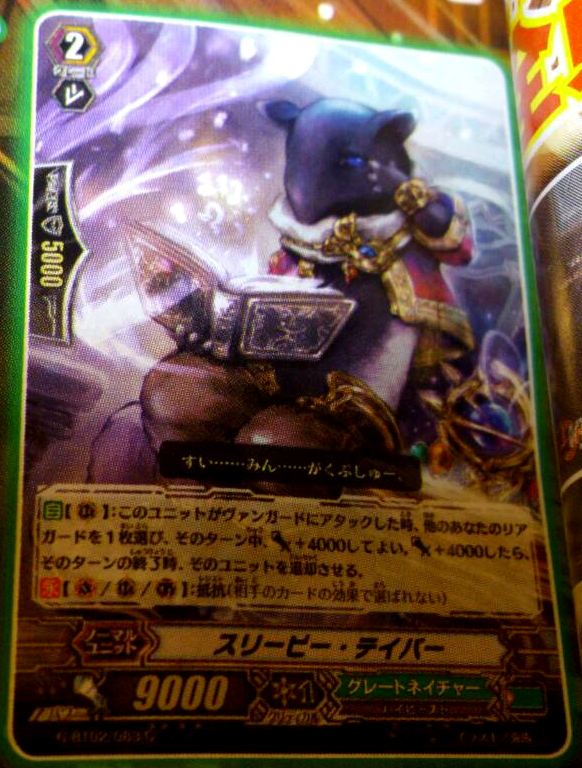 Moreover, Tusk Master can be better abused with Sleeping Tapir, who will ultimately cause a -1 in card advantage but has better chances of ending the game on that turn. Since unlike Tiger, Tapir is not once-per-turn and so will have two opportunities to power up his booster using the same pattern described above, his final attack will climb up by an additional +4000 power--up to 32000. Tusk Master is not an independent killing machine, but is an important support card that can make critical plays in conjunction with the rest of Great Nature's combo deck. There are a myriad number of ways to use him effectively, but some trains of thought will invariably lead in circles. Ultimately he is best used as in the Han Feizei's paradox; as an unstoppable spear. The Japanese card of the day for February 17th is the first grade 1 Cray Elemental unit, Rain Element Tear. Designed as unflipping support extended to every clan, Tear comes attached to a higher power base than Battle Sister Lemonade variants, in exchange for becoming effective only at the later stages of a fight and being much more conditional. AUTO (Rearguard circle): [Soulblast 2] When this unit appears in a rearguard circle, you may pay the cost. If you do, for each face-up 《Cray Elemental》 in your generation zone, choose 1 card in your damage zone and turn it face-up. 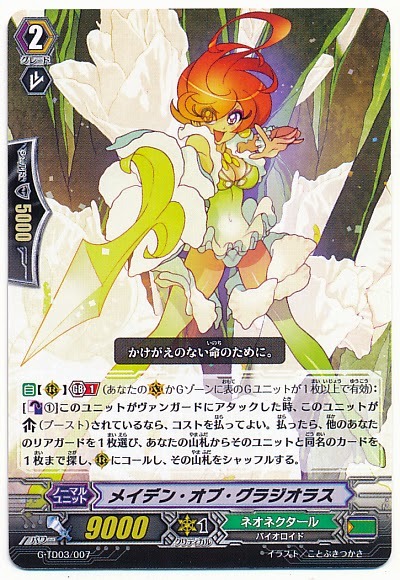 Being from all clans, Tear will not cause Lord text to kick in as she does have a same clan as all Lorded cards, but will cause the old 2011~2012 "If you have a non-«Same Clan» vanguard or rearguard, this unit gets Power -2000." 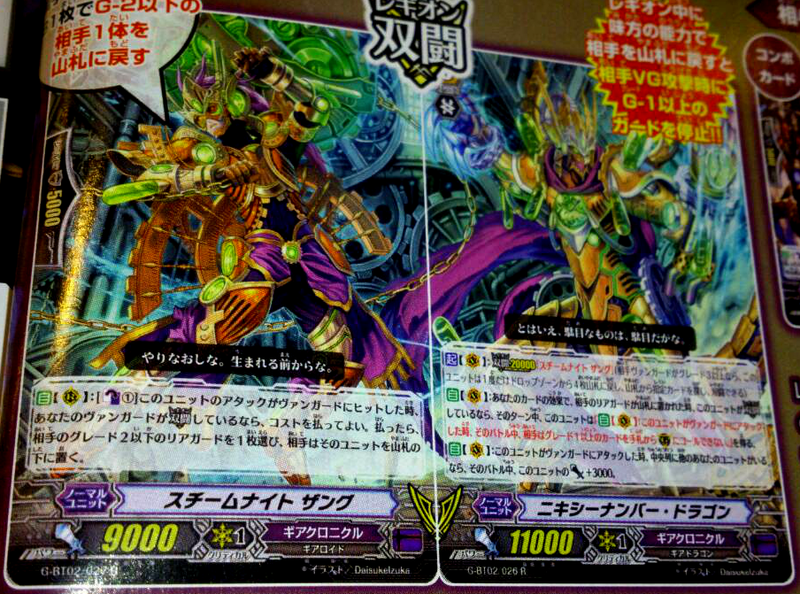 text on Great Daiyusha, Phantom Blaster Overlord and other grade 3s to activate. This is because of Tear's skill "This card is from all clans," which means that while she is of the same clan as those units she also has 20+ other clans written onto her that cause this skill to meet its conditions. Note that while Tear's soulblast skill specifically requires Cray Elementals to be face-up in the generation zone--ruling out Ragnaclock Dragon for example--if Harmonics Messiah is face-up, despite her not having a clan, Harmonics' continuous skill of "This card is from all clans," will cause her to be a Cray Elemental unit and thus qualify for Tear's skill. Evaluating Tear in the context of other unflipping options, she only truly becomes an improvement over Lemonade when there are two face-up Cray Elementals. 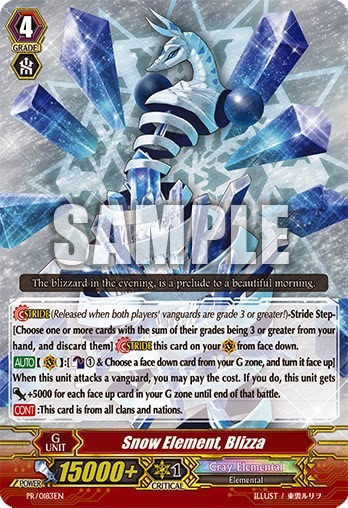 This can be achieved easily with Snow Elemental Blizza, whose on-attack skill turns a card face-up in the generation zone as part of its cost to get +5000 power for every face-up card in the generation zone. However, Blizza also costs a counterblast 1, so with that accounted for the actual number of cards unflipped compared to before you used these skills is one. This may not be a bad trade if Blizza's power boost forces additional guard from the opponent, but otherwise the most effective way to use Tear is still to go through two to three natural Cray Elemental Strides that don't cost counterblast. This restricts you to just Heat Element Magum and (by way of her skill) Harmonics Messiah. Most decks with clan-specific G unit support will not be able to use Tear effectively. At present Phantom Blaster “Abyss” is one of the major suspects for taking advantage of Tear, because this gives the deck an unflipping option that breaks it away from the Dorint-Blaster Dark Revenger combo, Shadow Paladin has no Lemonade variant, and currently the clan has no non-Cray Elemental strides accessible to it, but this will not remain true for much longer. While using Tear can free up deck space for different grade 1 and 2 units and the lack of a Lemonade means that she has no competition for unflipping in that particular deck, she is competing with Black-winged Swordbreaker for soul. Furthermore, even though Tear may be a Shadow Paladin through her continuous skill, as a non-Revenger unit she cannot be retired for either Blaster “Abyss” or Raging Form Dragon's key moves. Tear may not be perfectly suited for surpassing Lemonade, but she can stand in for such an option as a soulblast 2 to unflip 1. Striding Magum is perfect for pushing the midgame when you don't want to needlessly spend resources on big plays while the opponent is still at low damage, and Tear lets you use skills while at lower damage that you would otherwise miss out on because of their counterblast requirements. The card will probably not be a playset in every deck, but she can find a place as a 2 to 3-of for those that need her in place of other options. ARG Regional champion Matthew Preston (left) and runner-up Austin Funderburg. Original photo by Alter Reality Games. February 8th, 2015. Over the preceding weekend the first stage of the newly-christened ARG national championships concluded, with regional champion Matthew Preston winning the tournament using his Phantom Blaster “Abyss” deck. Preston's victory is the first time since the BT16-on format shift that “Abyss” has topped in a major US tournament, preceded by Robbie Kohl's victory at Chicago last December. Following the Texas regional qualifier there are now 40 cardfighters eligible for the national championship, sampled from the top 8 of each regional. Preston and Funderburg are among those that have been given point vouchers to pay for their entry into the $2000 finals, to be held this summer. Currently the invited fighters face a 20% majority of pure “Abyss” cardfighters, but these are primarily holdovers from the Atlanta tournament and may not reflect the final makeup of NCS2015. 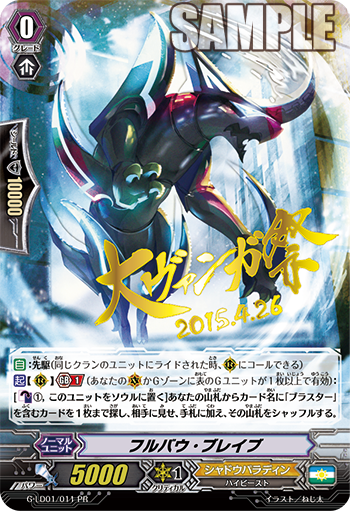 Instead the second most played deck among the top places, Thing Saver Dragon, is gaining the preference of professional American cardfighters as it did among the Japanese. The Fort Worth qualifier drew 97 participants, compared in preceding order to Orlando's 85, Atlanta's 41 and Chicago's 34. As the tournament attracted more than 50 participants, in accordance with ARG's policy the finalists had the option of receiving either a predetermined cash payout or 150% of the payout in store credit. Preston and Funderburg opted for the former, receiving $200 and $100 respectively. The tournament finals were livestreamed to ARG's Twitch channel on the night of the tournament, and will later be uploaded to YouTube. The top 8 decklist are provided below. 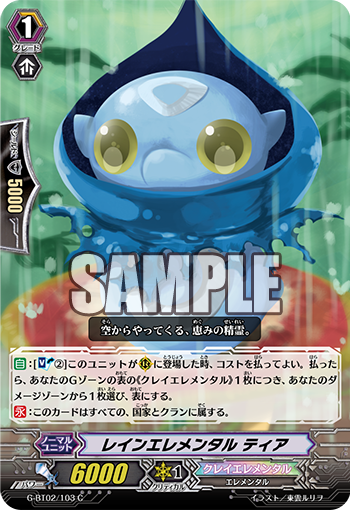 Several of the top decks were easy to foresee; Prominence Glare, Thing Saver-“Abyss” and Cat Butler Raizers are all decks that have done well in Japanese play and been received positively by American fighters. The legion format Spike Brothers deck is something that has generally fallen under the radar outside of a few Doctor O Awards during Bushiroad's Fighter's Climax 2014, where eight draw variants made it into the top 8 of the Sendai, and Sapporo regional tournaments. Their solitary claim to fame in Japan has been second place at Fighter's Road 2014 Okayama. Capping off the eclectic top 8 were two Overlord cardfighters hybridizing Dragonic Overlord the Great with past Kagerou Overlords, “The Яe-birth” and The End. Sam Hargrove with the End was the top ranked cardfighter following the last preliminary round, and made it to the semifinals before falling to Funderburg's Spike Brothers. Perdition decks have been strong contenders since BT17: Blazing Perdition hit stores in late January, but many Kagerou cardfighters have come to prefer having an offensive vanguard option over purely defensive rearguard control skills, leading them to integrate these past Overlords in place of Vortex Dragonewt and take advantage of support cards specific to the Overlord line like Dragonic Burnout. As several Perdition series cards are not Perdition-specific, there is innate synergy between using the lower costed Perdition card skills with aggressive Overlord variants. 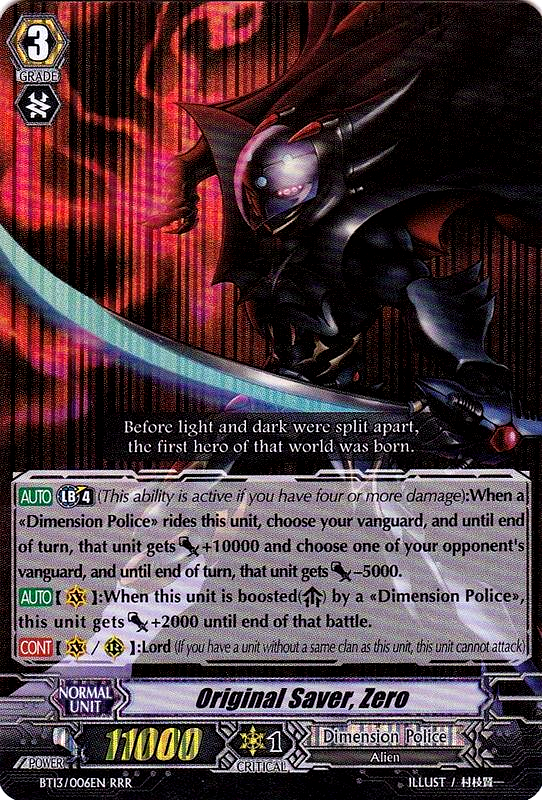 By contrast, running Vortex and the Great together tends to fall flat versus opponents that minimize their early to midgame calls, and against Shadow Paladin cardfighters that micromanage their rearguards through “Abyss'” and Raging Form's retire skills to avoid having any present during the Perdition fighter's turn. Note that while striding was not permitted at the tournament, G Assist was. 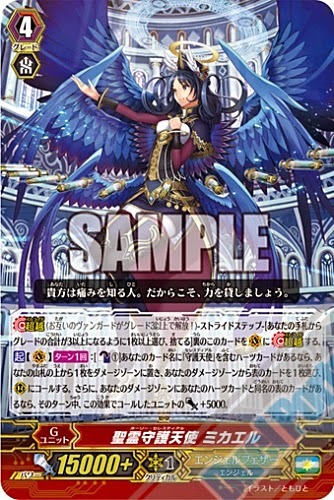 This is why Harmonics Messiah appears on several of the finalists' decklists, so that they could use the card for G Assist. ARG has also begun providing tournament kits to participating card shops as part of its ARG Point Series, allowing them to host their own sponsored tournaments to have their players earn points that can be used towards merchandise, round 1 byes at ARG events and flights to the national championship. Stores interested in becoming tournament hosts for the ARG Point Series can do so through their official page. Participating stores will receive exclusive playmats designed for ARG in their tournament kits (visible above) to be given to the winners of these tournaments. Cardfighters are encouraged to speak with their local shops about becoming event hosts. The next stage of the 2015 national championships will be the Louisville qualifier on the 21st, followed by the Fort Lauderdale qualifier on March 8th. Deck name: The End shall never fall! Deck name: Reduce everything in this world to ashes, flame of apocalypse! Alter Reality Games President Jim McMahan has set in motion an initiative to bring together a US national championship series, promising to crown ARG's first national champion this summer. The circuit series tournaments are to serve as regional qualifiers for the championship games. Six qualifiers have been announced for February through March, with the preceding Chicago, Atlanta and Orlando tournaments also being granted qualifier status, their winners having retroactively received invitations to the finals. The new qualifier locations and dates are given below. In order to create a strong professional tournament environment without the flaws of Bushiroad's system, the ARG national championship series will employ the same best-of-three Swiss ruleset that ARG has made extensive use of at past tournaments. In total there are nine tournaments currently integrated into the ARG national championships, and with a three month gap between the last announced qualifier and the nationals, additional locations may yet be announced. The large tournament structure stands in stark contrast to Bushiroad's recently-announced Team League 2015, which features just six regional tournaments for North America's Bushiroad national tournament, only four of which are in the United States and one in of which is in Canada. 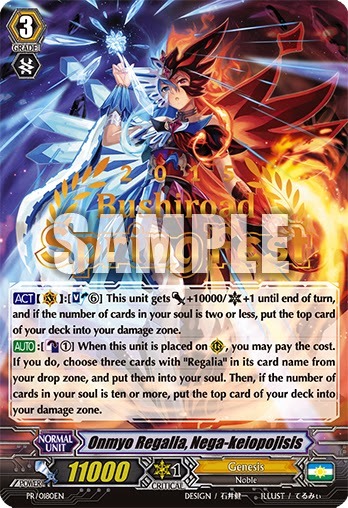 And unlike Bushiroad's paper certificate system, the winning cardfighters at ARG's tournament series will be rewarded with store credit and cash, fully realizing the meaning of "professional" cardfight. 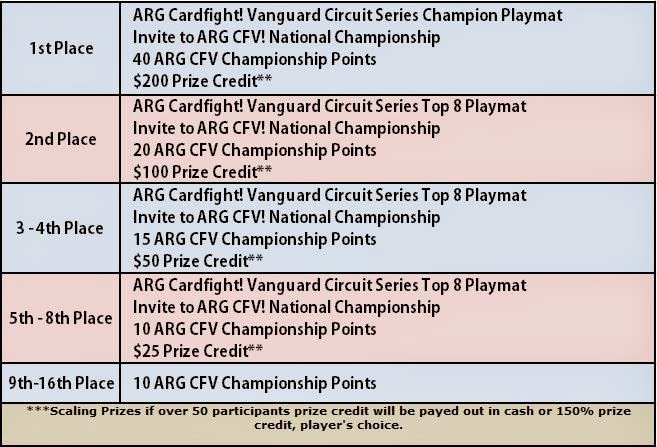 This new national championship will award cardfighters who place inside the top 8 at qualifiers with both invitations to the finals and Circuit point amounts which can be used to pay entry into the ARG nationals in lieu of the typical $20 entry fee, as well as to purchase ARG-sponsored gear and card supplies. The national championship finals will include trophies for the winners, and a minimum prize pool of $2000--historically the largest prize pool that has ever been made available for a Cardfight!! Vanguard tournament. Prizes for the regional Circuit series tournaments have been standardized. If tournament turnout exceeds 50 participants, the prizes can be paid out either in cash or as 150% prize credit depending on the player's choice. This means that at a 50 person tournament, first place can opt for either $200 cash or $300 credit, while second place can choose either $100 cash or $200 credit. The championship finals will be held in late July or early August, and are tentatively being discussed inside the area of Philadelphia to Providence, Rhode Island. Upcoming ARG qualifiers include the Fort Worth and Ontario Circuit series tournaments in Texas and Canada, both on February 8th. Following that will be the Louisville qualifier on February 21st, Fort Lauderdale on March 8th, Hartford on March 15th and Toronto on March 21st. Beginning with the Hartford Connecticut qualifier, stride units will be legal for play in ARG tournaments. Louisville will be last competition to not allow stride. As at the Orlando Circuit, Cardfight Pro will be traveling to Louisville to provide live coverage of the tournament. 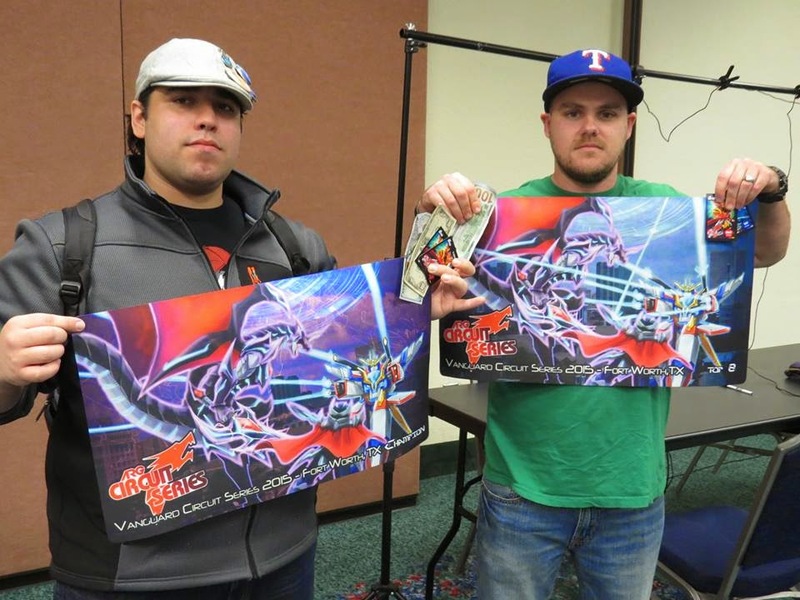 The ARG national championship embodies the culmination of a collaborative effort between ARG and Cardfight Pro; last November we began contacting McMahan and others to pledge coverage for tournaments that would address the concerns of cardfighters worldwide. 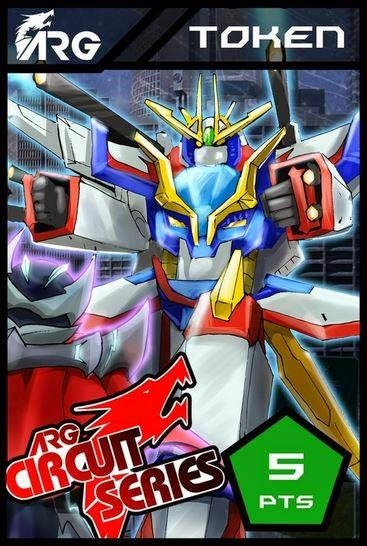 Alter Reality Games has our full support in establishing this tournament system, and those who place in their tournaments will be recognized by Cardfight Pro as professional cardfighters of the same caliber as those that qualify in the world championships and VGCS tournaments. In preparation for the upcoming events, organizer Robbie Kohl surveyed players for eleven questions on specific rulings and then contacted Bushiroad USA's judges directly, to ensure that the judges at ARG will be rigorously trained and able to address major rulings disputes. An exhaustive list of the rulings is provided below. Q1. Brawler, Big Bang Knuckle Buster activates its skill to attack four units. However, the opponent only has three units. Can he still attack all of them? A1. Yes, you can still attack the three units ,because you have to do as much of the skill as possible once activated. Q2. What happens when I use a quintet wall against Silent Tom, or Lark Pigeon and a grade 0 is called to the guardian circle? A2. The units called by the quintet wall are being superior called, not normal called, so they are able to be placed in the guardian circle through that skill. Additionally, the Lark Pigeon is being superior called from the soul to the guardian circle so the same ruling applies. Any form of "call" that does not come from the hand is considered a "superior call" unless otherwise specified on the card. Q3. Guarding against Transcore Dragon and Glory Maelstrom's skills, will the interceptors be affected? A3. Intercepts will not be affected by Blue Storm Supreme Dragon, Glory Maelstrom, or Blue Flight Dragon, Transcore Dragon, both units specify that units cannot be called "from the hand" to the guardian circle. Q4. 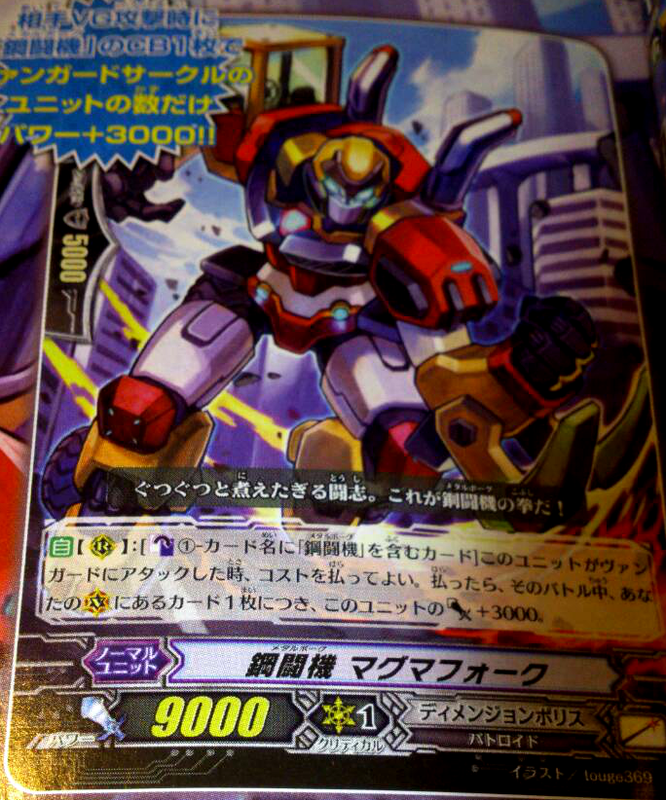 Brawler, Big Bang Slash Buster is on a rearguard circle and a vanguard Big Bang Knuckle hits multiple times. Will this card gain +3000 power for every unit hit, or only gain the bonus once? A4. 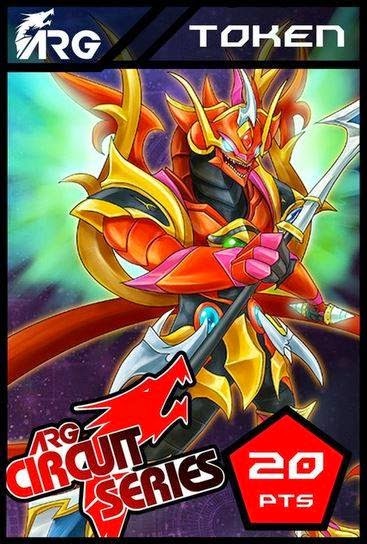 Brawler, Big Bang Slash Buster will gain the +3000 power for each hit that Brawler, Big Bang Knuckle Dragon, or Brawler, Big Bang Slash Buster makes. Multiple bonuses. Q5. Brawler, Big Bang Knuckle Buster attacks the opponent's “Ω” Glendios and they use Taboo Star-vader, Rubidium. Will all the attacks redirect to the “Яeverse” unit, or will the other attacks still hit their declared targets? A5. If you place Rubidium in the guardian circle and activate its skill to retire and redirect the attack to a “Яeverse” unit, despite multiple units being attacked, all the attacks will be changed to that one “Яeverse” unit. Refer to FAQ 805, 807. Q6. If I use Seeker, Thing Saver Dragon's skill to superior ride a copy of itself from the deck, can I use the skill of the new Thing Saver to perform the skill again if I have the counterblast to do so? A6. 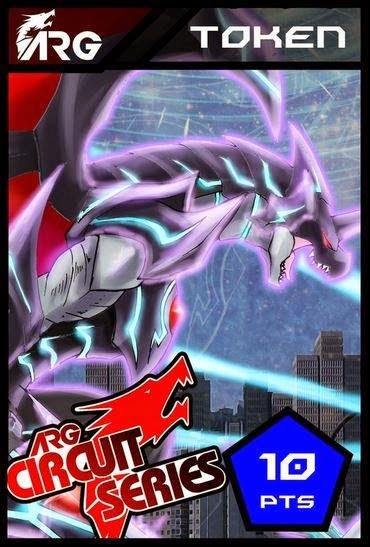 Yes, you may activate the skill of the new "Seeker, Thing Saver Dragon" that was superior ride from the deck, as long as you can meet the requirements to activate the skill again. 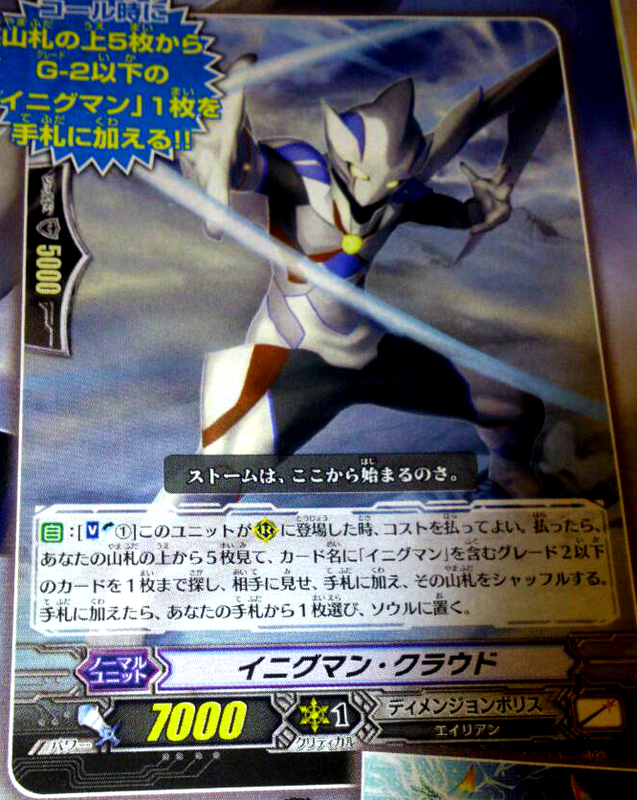 You do not however, return four cards to the deck with the new "Seeker, Thing Saver Dragon." Q7. Does riding count as putting a card into the soul? If so, this will trigger Young Pegasus Knight, Doreen the Thruster and Great Sage, Barron, correct? A7. Ride does not count as putting the unit that was ridden over into soul. 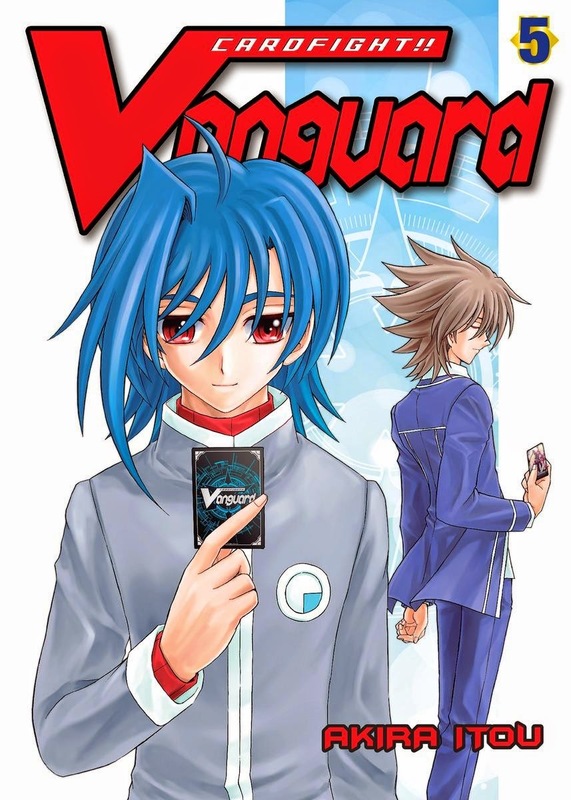 In some cases of superior ride, the unit on the vanguard circle is considered being put into the soul, such as Barcgal. Q8. 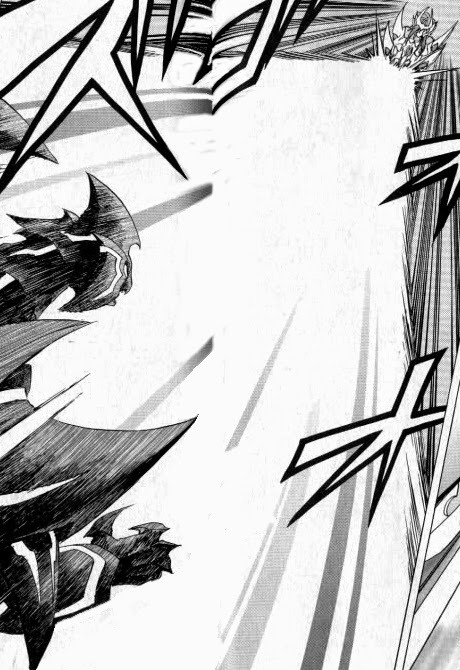 How do Perdition Emperor Dragon, Dragonic Overlord the Great and the break ride Dragonic Overlord interact with each other? A8. 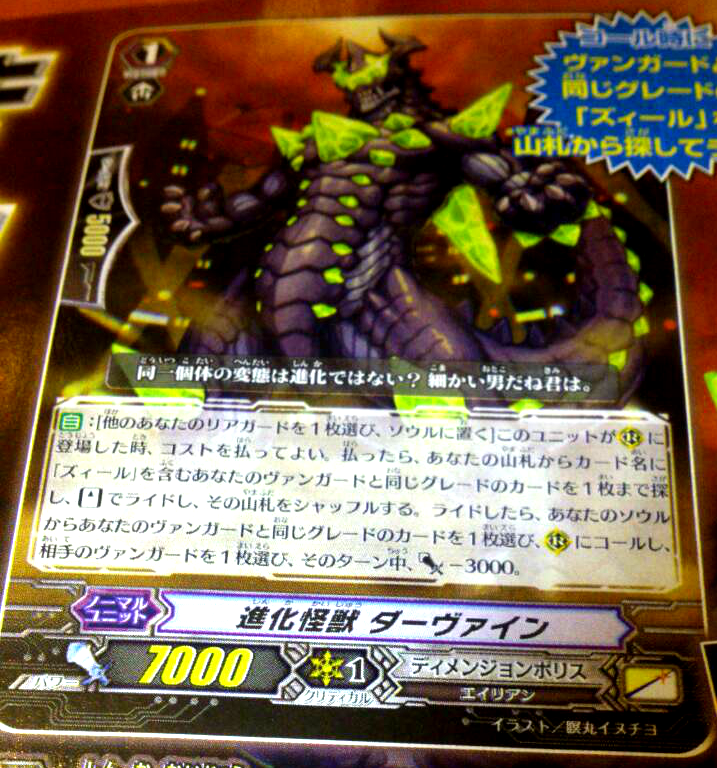 Perdition Emperor Dragon, Dagonic Overlord the Great as well as Dragonic Overlord (breakride) both trigger and are set into standby once the attack hits the rearguard. At that timing you have to choose one of their skills to activate, so you cannot trigger both of their abilities/given abilities to restand, even if you were to attack a second rearguard. Q9. I have a Dorint in the frontrow and a Dorint behind it in the same column. I call a Blaster Dark Revenger over one of the Dorints. How many damage are unflipped? Q10. If I call a Shiny Angel over a Regalia stand trigger, can I use Shiny Angel to target the said stand trigger that is currently on the same rearguard circle as I call over it? A10. 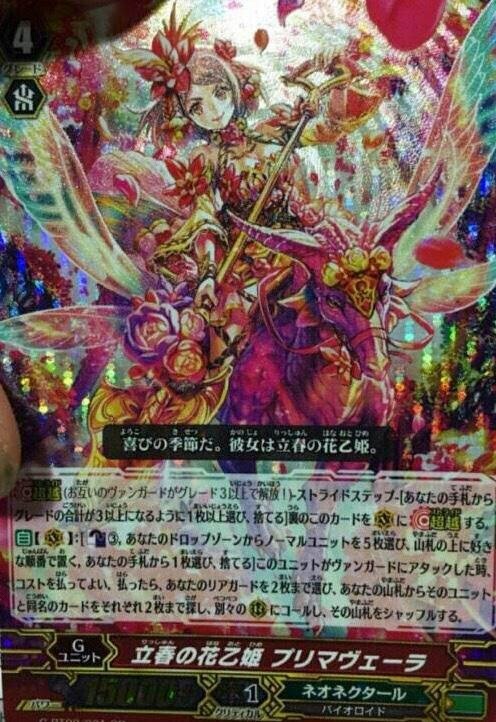 Yes, you may target the unit you retired due to being called over with the skill of Exorcism Regalia, Shiny Angel. 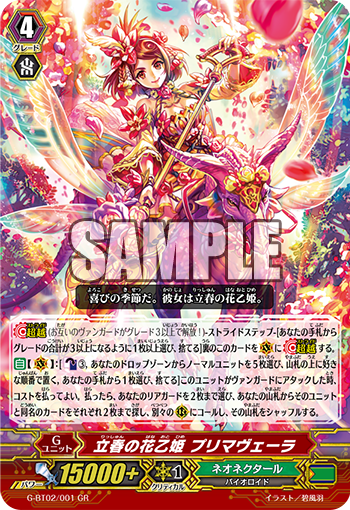 Call Shiny Angel over stand trigger → Game mechanic retires stand trigger to resolve call, Shiny Angel's skill goes into standby → Shiny Angel's skill activates from standby to target up to three units in the drop zone. Q11. If I legion how many cards must I return to the deck? Can it be less than four or exactly four cards? A11. You must send exactly four units back to the deck to initiate legion. Bushiroad South East Asia has updated up their pages on the English portal site to reflect the upcoming Team League 2015 competition. 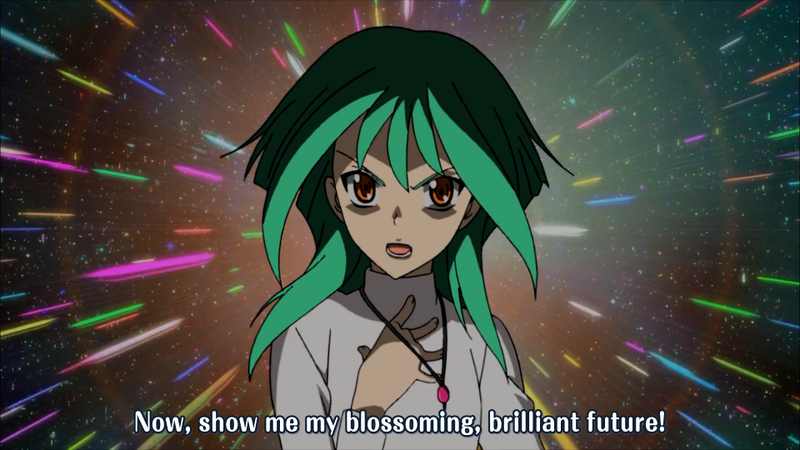 A triples division tournament, League 2015 will be held as part of a Spring Festival comprising all three of Bushiroad's English-language TCGs. The Spring Festival involves participation at the shop and regional levels, with Team League itself taking place at regional qualifiers and (in North America) at the national level. For the rest of the world, the tournament will stop at the regional level. Controversially, this year's League 2015 rules make it possible for the tournaments to produce no winners. 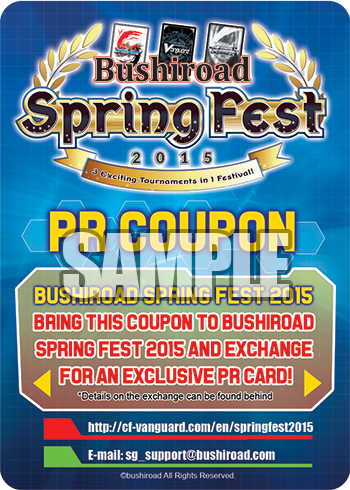 Cardfighters who participate in official shop tournaments during the two month period from March 2nd through May 3rd will receive special promotional coupons from Bushiroad, which can then be exchanged at the Spring Festival regional tournaments for a promotional card, Snow Element Blizza. A maximum of four coupons for four cards can be exchanged for per person. In the tournaments themselves participation is restricted to those with current residence in the continent their tournaments are held in. Those that take part in the Team League 2015 regional tournaments from April through July will receive a gold edition Onmyo Regalia Nega-Keiopojisis as their participation prize, and the top 50 teams will receive a commemorative bag. Like all Team League tournaments, the TL2015 format will feature teams of three facing each other in best of one games. The team with two or more victorious members will win the round. This is the first English-language Bushiroad tournament to address the use of G-Units in decks. Although actual clan fight rules have not been formalized in the English-language format, during Team League 2015 participating cardfighters are required to have a deck of only one clan, with exception given to Cray Elemental G-Units which can be used as a part of any deck's generation zone. 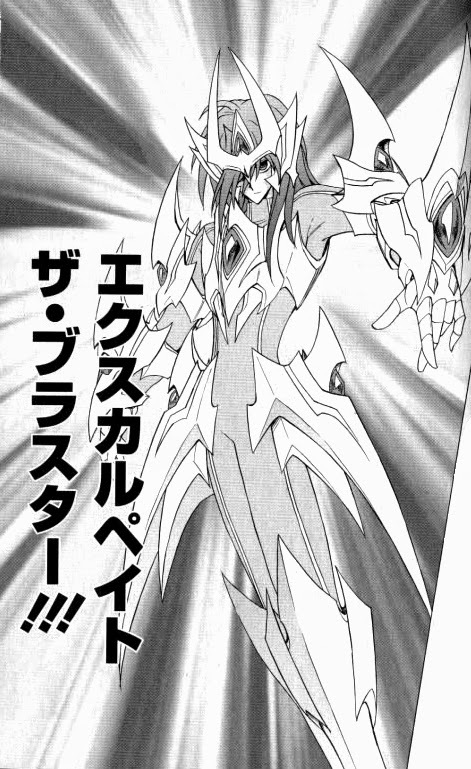 Royal Paladin decks may contain up to four copies of Blaster Dark, but no other Shadow Paladin units, and Link Joker decks may use any number of “Яeverse” cards. Furthermore, every team member must be playing a different clan. The rules and organization of the tournament have already come under significant scrutiny on the web. Like the preceding world championship, Team League 2015 allows tournament organizers to run a round 0; a round 0 results in half of the teams in the tournament being eliminated in the first round of the tournament, so that double elimination rules to not apply during the first round. Round 0s have been used to deliberately cut down the size of Bushiroad tournaments without instilling an actual cap on tournament attendance. 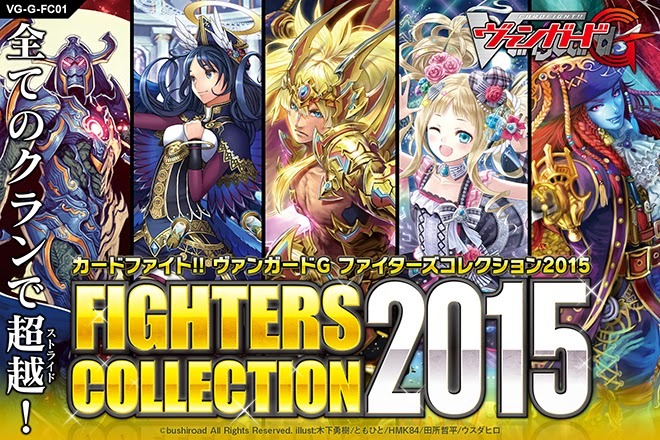 Their use has fired intense criticism of Bushiroad, as for many cardfighters the regional qualifiers involve a drive of seven or more hours, all to be eliminated in the span of twenty minutes without being given the same double elimination opportunities as the teams that survive the initial round. The time limit of the tournament is likewise under fire. Twenty minutes is rarely enough time to play a single game in legion format, where an extended midgame characterizes most cardfights and draws games out into prolonged resource wars. Most concerning is that the time limit rules for League 2015 can result in no winner being produced. 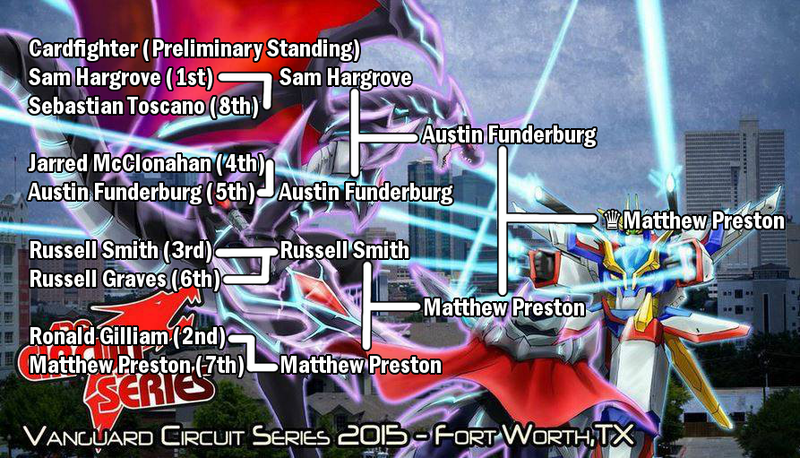 As during the elimination rounds, hitting time limit in the top cut causes both cardfighters to lose. This leads to a variety of situations in which the tournament finals will not produce a winning team; for example, if two teams have one win and one loss each and their third game hits time, neither team will win. Every team member hitting time will produce the same result, as will two games going to time. It would even be possible for a round zero to result in every team being eliminated immediately, if no winners were produced as a result of every team hitting the time limit. Assuming that the qualifiers do produce a winner, each winning team will receive a first place certificate, and the second through third place teams will be similarly certified. The winning team at each regional qualifier will also receive an invitation to the national finals, with travel and accommodation expenses provided. There are no invitations for second through third place. League 2015 features a very low number of regional tournaments, with only five spread throughout the Asia-Oceanian territory, four across Europe and six in the United States. A complete listing can be found through the official portal. The tournament series has downplayed the importance of international markets outside of North America, with no continental event for the European or AO countries and no international finals. For many cardfighters across the globe their closest regional tournament is several hours across country borders, and for others participation is simply not an option.